Do your grocery shopping and make money for the PTA! 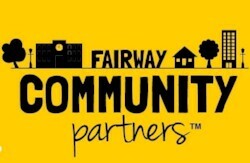 Show your yellow Fairway Community Partners card before you check out at any Fairway, anywhere, anytime, and MS54 will earn between 3-5% of your bill - it's as simple as that! NO COST to you!